VPCI maintains an extensive network of services to support the commercial operations of your business in the United States. We act as the gateway to coordinate a variety of outside professionals in areas such as Pharmacovigilance, business development, legal counsel, resolution of Customs import issues, or entry into foreign markets. Our Pharmacovigilance network includes the full range of services required by the FDA for drug products in the U.S.A. This includes an FDA-compliant call center with appropriate medical staff for the intake and electronic submission of Adverse Event Reports to the FDA. Available services also include drafting and submission of periodic safety reports, literature surveillance, medical information services, and product complaint documentation. 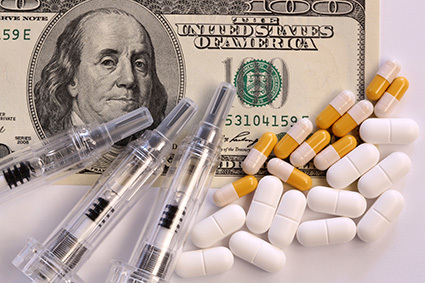 All of these services can be provided as a turn-key solution for foreign manufacturers selling drug products in the U.S.A.
Our Customs and legal associates are able to provide services related to ANDA patent notifications, reviews of Customs import documents, country of origin determinations, NDA patent infringement support, and resolution of difficult U.S.A. import holds. VPCI also has associated experts in the areas of manufacturing and supply chain IT, cross-functional ERP projects, and strategic planning for serialization to meet the requirements of the FDA Drug Quality and Security Act (DQSA). Our vast network also includes contacts to assist with nutritional supplements, cosmetics, CFDA (SFDA, China), ANVISA (Brazil), Health Canada, along with market entry into France, Spain or Germany.